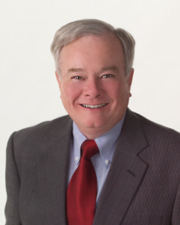 Co-owner of Davis Reseland LLC, Jim is a Certified Investment Management Analyst® (CIMA®) and a member of the Investment Management Consultants Association (IMCA). Jim earned a Bachelor of Arts degree from East Carolina University and later earned a Master of Science in Financial Services from The American College. He is a Registered Representative, Registered Investment Advisor Representative, and Registered Securities Principal with NBC Securities, Inc. (Member FINRA/SIPC). Jim has practiced financial planning and investment management since 1973 and has spent his career helping clients plan for their futures and manage their accumulated assets. After 20 years of working with successful business owners, Jim decided to become one himself by founding the predecessor firm to Davis Reseland LLC. By also bringing his daughter, Susanne, into the practice he has truly been able to personally use many of the planning strategies he discusses frequently with his clients. Jim is an avid reader and follows current events and politics closely. He spends his free time with his wife, Patsy, and their five children and grandchildren. Co-owner of Davis Reseland LLC, Susanne is a graduate of the University of Texas’ McCombs School of Business, where she earned Bachelor’s of Business Administration and Master’s in Professional Accounting degrees. She previously worked with Ernst and Young LLP, then with a Nashville-based health-care company. Susanne is a Registered Representative and Registered Investment Advisor Representative with NBC Securities Inc. (Member FINRA/SIPC). 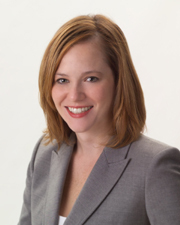 Susanne is a Certified Public Accountant (CPA) and a member of the Tennessee Society of CPAs. Through her involvement with the Tennessee Society of CPAs, she started the Nashville Chapter’s “Young CPAs” group and was a member of the TSCPA’s Young CPA Committee. She also has held the positions of Treasurer, Secretary, Vice President, President-Elect, and President of the Nashville Chapter of the Tennessee Society of CPAs. She also served on the Council of the Tennessee Society of CPAs. Susanne joined her father, Jim, in the practice in 2004. She always has enjoyed helping people by teaching and helping them get organized, and she found that working as a financial advisor is a good fit with her detail-oriented and numbers-focused formal education and her pleasure of working with others. Susanne spends her free time with her husband, Joseph, and their children. Theresa is the Operations Manager of Davis Reseland LLC. She joined Jim in 1984 after working as office manager for Circuit City. Theresa always has enjoyed exploring new ways to improve efficiency and organization. A graduate of East Carolina University, where she earned a Bachelor of Science in Business Administration, she is a Registered Operations Professional with NBC Securities, Inc. (Member FINRA/SIPC). Theresa is active in her community and currently works with the Maryland Farms YMCA. She spends her free time with her husband, Fred, and their two children.